One mentally challenged mother and wife to a Police Sergeant in Ebonyi State has stabbed her 8-month old baby on the tommy. It was a pitiable scene to behold at the Accident and Emergency Unit of the Federal Teaching Hospital (FETHA), Abakaliki, in Ebonyi State. The baby was brought into the ward for surgery with the knife still stuck in the boy’s abdomen. Though there is no full details of the incident as the suspect, who was said to be a wife of a serving police Sergeant, was said to have been taken to hospital for treatment, it was gathered that the incident happened at the police barracks, Abakaliki. 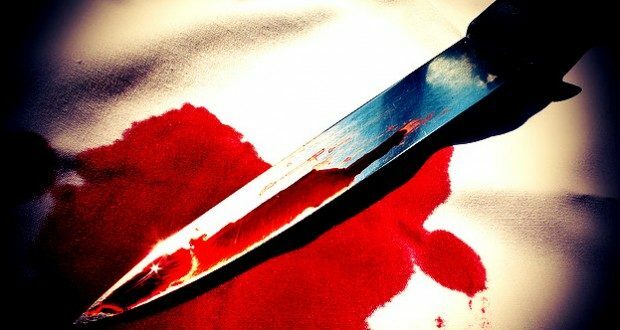 Source equally disclosed that the woman who allegedly had periodic major mental disorder pierced her baby’s stomach with kitchen knife and left the knife stuck in the baby’s stomach when somebody saw it and raised the alarm that attracted neighbours. In his own reaction, one Omeri Nwachi, on his facebook page wrote: “A woman stabbed this baby, you can’t imagine that it was true and I actually snapped it myself. The baby is still alive and was being prepared for surgical procedure. Please pray for the survival of this baby”. However, the Ebonyi State Police Public Relations Officer, DSP Jude Madu, said full details concerning the incident were still being awaited and disclosed that the woman was a mentally unstable wife of a serving policeman in the command. He disclosed that the baby had undergone a successful surgery and the knife had been successfully removed from his system while his mentally sick mother had been taken to psychiatric hospital for medical check.